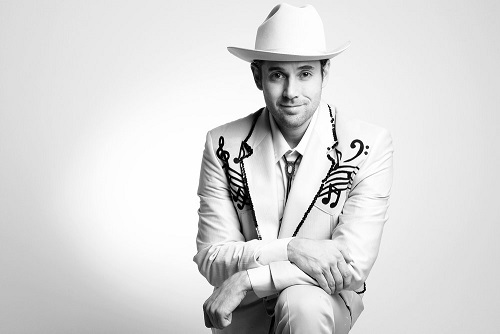 Ryan Cook, singer/songwriter from Nova Scotia, begins his Hank Williams tribute show on July 25 in Chester, Nova Scotia. The tour takes him through the 4 Atlantic Provinces in the months of July, August, October and November 2018 and ends on November 18 in New Glasgow, Nova Scotia with 24 shows. The two-act performance includes over 20 songs from the catalogue of one of the greatest country music singers of all time. The Drifting Cowboys (Ryan's Band) reanimate the sounds of Don Helms haunting steel guitar. Jerry Rivers' unmistakable fiddle arrangements, and the yodelling of the lovesick boy from Georgiana, Luke The Drifter himself, Hank Williams. Cook has been performing as Williams for nearly a decade, beginning in 2009 with several sold out weeks starring in the Maynard Collins play, The Show He Never Gave, in Sackville, NB. In that time, he has performed on iconic stages graced by the man himself, including Nashville's Ryman Auditorium and Ernest Tubb's Midnite Jamboree. As himself besides doing Hank Williams Tribute, he mixes classic country music modern satire, and has forged a sound between contemporary folk and dyed-in-the wool country. He has shared stages with Dwight Yoakam, Rosanne Cash and Travis Tritt and has compiled an impressive list of awards and nominations over the years including three Album of The Year Awards from Music Nova Scotia. For more information regarding Ryan Cook and his music and tour dates, go to his website, address posted above. All his performance dates are listed on this website as well.